I have been building and selling the data loggers for a while now and have been asked for a picture of the completed logger. The loggers come with 1M of memory to store weather reading if the computer is unavailable, e.g. power outage. Instructions are included, and support via email is available. Best to leave any comments specific to you order by using the "Add special instructions to the seller" on the order payment page, eg tracking(see below for additional cost), cable length etc. Prices Include Free International Airmail Postage (No Tracking, see below)! Delivery is fast, between 4 to 14 business days from date of posting. Each logger is sent in an antistatic bag, inside a padded envelope. Will you make a custom version that uses a USB plug on the board? I am thinking that I might want to piggyback a Raspberry Pi onto the back of the console and don't need the extra length. Thx! I considered using a micro USB Connector, but there isn't room for the male cable in the back of the console. However I can build them with any cable length you would like. I am currently utilizing an older serial data DIY cable today for my console / Cumulus software. It's worked fine now for a few years. It is kind of a kludgy connection as I put the RS-232 data on a Quatech serial server and the software is running on a Windows server 3 floors down. Just really too much stuff here and I am looking to streamline a bit. Looking to move the Cumulus / Wintel box stuff over to Cumulus MX / RPi2. I want to mount the RPi2 (velcro?) to the back of the Davis console. Curiousity question as I am in to time here and utilize a GPS/PPS configuration with my PFSense firewall. I have also installed the PiFace RTC clock in the RPi2. How does the Davis console get its time? I know I have to input the time on the device when I first boot it up. Should I just leave comments while paying or write to you before ordering your data logger? I am also writing about the RPi2 / Davis Console / Clock thing / your data logger DIY on an Automation forum and would like to post the parts list including your information with your permission if possible? How does the Davis console get its time? I know I have to input the time on the device when I first boot it up. The console time is set at startup and then can be set by Cumulus (windows) not sure if the Pi version supports time setting, check with Cumulus support forum. Best to leave any comments specific to you order by using the "Add special instructions to the seller" on the order payment page, eg cable length etc. Happy to answer questions here. Yup; just ordered it. No option was provided to leave any instructions. Well I didn't the option to add comments. It doesn't matter cuz I can shorten the cable myself when the little project is finished. Well looked at the picture and I would have to melt the hot melt glue to shorten the cable. I don't want to do that. Please write to me regarding order. Noticed too the price went up a touch. It is still a very good deal. You need to click the word add beside the add special instructions, which then pops up the box for the comments. Let me know what length cable you want and I normally glue them to provide strain relief and avoid the wires breaking. Paypal put up the their costs, I'm not making much as I do it as a hobby. Let me know how you go, as it would be good to get rid of the PC I have running. Yup; shorter would be better. 12 inches (30 cm) here would probably be a best guess eh?. I already orderd it. I guess I can just email you or you can email me via paypal address eh? Started to write the receipe for my build on the automation forum. Included you link / picture for purchase. I have gone to a hub and spoke methodology of my automation in house as I prefer not to utilize the cloud. Automation is a hobby here and integrate weather watching in to my hobby. Here also pulling down weather maps from satellite using SD radio as a secondary to pulling down maps from the internet. I have done some testing with my Raspberry Pi 2 and my logger is working great with Cumulus MX. I also note that Cumulus MX has the option to set the Davis console time, not yet tested. Having a look at the Wintel Cumulus last night and there is a check box for time sync to the Davis console. Never paid much attention but did notice that my console time matched the house time yesterday. Well too will be using a POE splitter to provide power to the Davis Console combo RPi2. Received the data logger today. Great stuff! Took only 9 days from you to here near Chicago. Currently testing running Cumulus MX and Cumulus 1 using a tiny serial server and DS1-01. It has run well for the last few days with DS1-01. Next trying your data logger cable and probably purchasing a second console. (another VP2 station is nearby here). Tested new buffered datalogger. It works well. 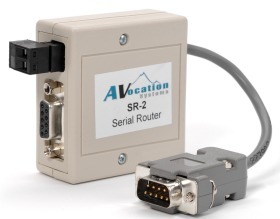 Ordered the serial version of your cable to continue testing with serial server on one console and using the buffered datalogger with another console. Noticed that the connector is a bit loose such that I had to use a piece of stryrofoam to keep it in place today. What do you recommend to keep it in place? I then looked at a picture of the Davis provided data logger and it looks to have some sort of snap in connection pivot thing. Is there a place to just purchase that little combo plastic piece or a means to make one? Redid my DIY post/blog using CumulusMX / RPi2 over here. Actually changing the first one mentioned over to look like this one. Sent you an email with a couple of options, i don't normally have issues with them staying in place. You could try to adjust the cable angle by heating the glue with a hair dryer. Use a small piece of blue tak on top of the logger between the edge of the logger and the case of the console. Is there any interest in a small form factor, low power solution (5W) for viewing and uploading weather data to the internet? Thinking I could supply a Raspberry Pi 2 with SD card pre loaded with Cumulus MX. Just plugin the logger and your away. Cumulus MX runs it's own web server so you can see all your weather info locally and it also has all the usual Cumulus options for uploading wether to the internet eg wunderground. Let me know if your are interested. Would this not be in contravention of the Cumulus Licensing Agreement? Have some of the USB and Serial logger boards in stock ready to ship if any one is interested. I have sent you pm but no answer. Sorry I was away for the weekend and was not able to reply. Your order will be ship today. Are these the same ones belfryboy is selling? I redesigned the board, so that it can be either USB or RS232 when built, and a few other things are different, eg I program the memory in circuit. Functionally they do the same thing. Could I get the pin-out for the DB9 connector end? Belfryboy was to get back to me but i haven't heard from him. Would like to get my project going again. Where are you located? Could I get the pin-out for the DB9 connector end? Belfryboy was to get back to me but i haven't heard from him. Would like to get my project going again. I'm not sure how Belfryboy does his, you will need TX, RX and GND for a basic connection. That would work for me. If Belfryboy doesn't answer my PM soon I'll order one from you.